ALAMEDA, Calif. – The Oakland Raiders have signed unrestricted free agent TE Luke Willson, the club announced Friday. Willson joins the Raiders after spending the 2018 season as a member of the Detroit Lions. Prior to his year in Detroit, he spent five seasons with the Seattle Seahawks after originally joining the club as a fifth-round selection (158th overall) in the 2013 NFL Draft. Willson has played in 86 career games with 45 starts, recording 102 receptions for 1,216 yards with 11 touchdowns over his six-year career. In nine career postseason games, he has totaled 13 receptions for 154 yards with one touchdown. Last season, the 6-foot-5, 254-pound tight end appeared in 14 games with eight starts for the Lions, posting 13 receptions for 87 yards. He recorded a career-high four touchdowns in 2017 with Seattle and set career highs in both receptions (22) and receiving yards (362) in 2014, while adding three touchdowns on the season. As a rookie in 2013, Willson played in all 16 games with seven starts, totaling 20 catches for 272 yards while helping the Seahawks win Super Bowl XLVIII. A native of LaSalle, Ontario, Can., Willson appeared in 45 games over five seasons (2008-12) at Rice. He completed his collegiate career with 78 catches for 986 yards with nine touchdowns. 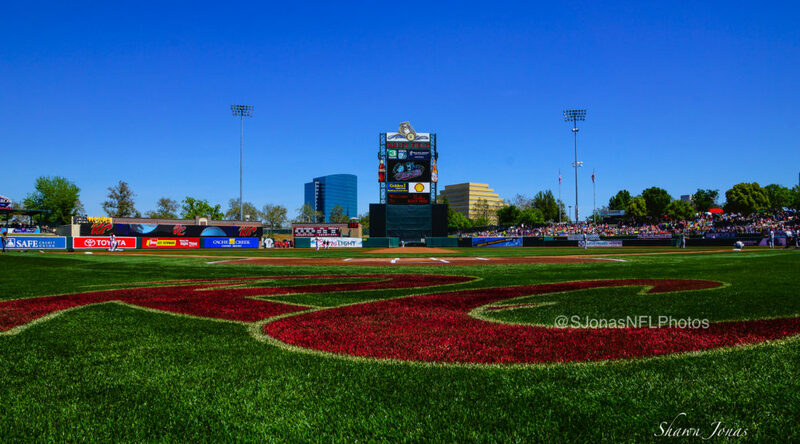 WEST SACRAMENTO, Calif. – The Sacramento River Cats and CBS13/CW31 have announced that they will collaborate to broadcast 12 games during the 2019 regular season. The games will be available locally in the Sacramento market on CW31, home of Good Day Sacramento. After a successful season of broadcasts in 2018, including the Exhibition Game between the Sacramento River Cats and San Francisco Giants, the partnership has been renewed for 2019 to include 10 home games and two road games. Broadcast dates for this season include April 6, April 20, May 4, May 11, June 1, July 13, July 27, August 10, August 31, and September 2. CW31 will also broadcast two River Cats road games against the Las Vegas Aviators (Oakland Athletics) in Las Vegas, Nevada on June 22 and June 23. Membership plans and special ticket packages are available by calling the River Cats ticket hotline at (916) 371-HITS (4487) or emailing tickets@rivercats.com. 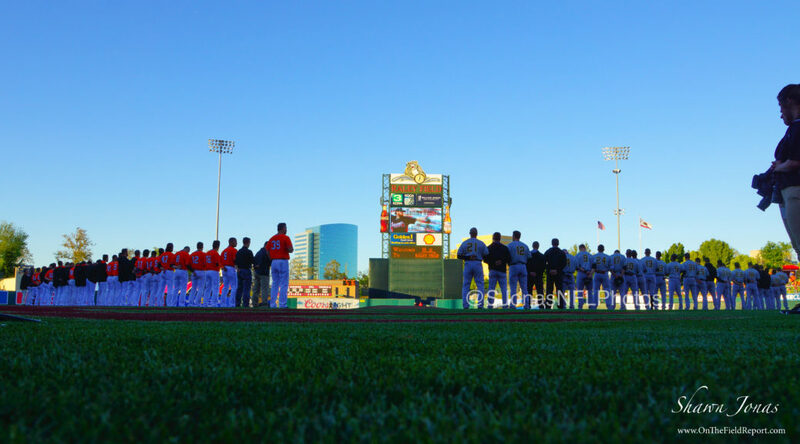 A full promotion and giveaway schedule for the 2019 season is now available at rivercats.com. ALAMEDA, Calif. – The Oakland Raiders have signed unrestricted free agent LB Brandon Marshall, the club announced Thursday. Marshall, originally a fifth-round selection (142nd overall) by the Jacksonville Jaguars in the 2012 NFL Draft, has spent his last six seasons (2013-18) with the Denver Broncos and now enters his eighth year in the league. Marshall has appeared in 74 career contests and made 63 starts during his first seven seasons, totaling 412 tackles (301 solo), 6.5 sacks, two interceptions, 21 passes defensed, four forced fumbles and one fumble recovery. In seven playoff appearances including four starts, he has compiled 20 stops (seven), two passes defensed and one forced fumble. Last season, Marshall appeared in 11 games and made seven starts with the Broncos, totaling 42 stops (22) and one pass defensed. Over his six seasons with the Broncos, Marshall recorded three years with at least 100 tackles, two of which led the club in 2014 and 2017. In 2015, Marshall posted 101 tackles (76), starting in all 16 contests for the Broncos in addition to three postseason starts, en route to a Super Bowl 50 victory in which he contributed with five stops in the championship game. A native of Las Vegas, Nev., Marshall was a four-year starter from 2008-11 at Nevada. He recorded 259 tackles (145), including 40 for loss, six sacks, three interceptions, three forced fumbles and seven fumble recoveries while with the Wolf Pack. As a senior in 2011, he was tabbed with second-team All-Western Athletic Conference honors from Phil Steele Publications after posting 100-plus tackles including 10 for loss. ALAMEDA, Calif. – The Oakland Raiders have signed free agent RB Isaiah Crowell, the club announced Thursday. ALAMEDA, Calif. – The Oakland Raiders have signed unrestricted free agent QB Landry Jones, the club announced Tuesday. Originally a fourth-round selection (115th overall) by the Pittsburgh Steelers in the 2013 NFL Draft, Landry spent his first five years with the Steelers as the club’s backup quarterback. Over his career, Landry has appeared in 18 games and made five starts, completing 108-of-169 pass attempts for 1,310 yards, eight touchdowns and seven interceptions for a passer rating of 86.2. Last season, the 6-foot-4, 225-pound product out of Oklahoma joined the Jacksonville Jaguars for a short stint with the team before being released in November. He did not appear in game action in 2018. A native of Artesia, N.M., Landry started in 50-of-52 games during his four years (2009-12) with the Sooners. He set Big 12 Conference records in completions (1,388), passing yards (16,646) and touchdown passes (123), while his career passing yards ranked third in NCAA lore at the time he left Oklahoma. As a senior in 2012, he earned All-Big 12 second-team honors in addition to winning the Sammy Baugh Award in 2010, an award given annually to the nation’s top collegiate passer. ALAMEDA, Calif. – The Oakland Raiders have signed unrestricted free agent QB Mike Glennon, the club announced Friday. Glennon, now entering his seventh year in the NFL, was originally a third-round selection (73rd overall) in the 2013 NFL Draft by the Tampa Bay Buccaneers. Entering his first season with the Silver and Black, Glennon comes aboard having previously spent his first four seasons (2013-16) in the league with the Buccaneers, one season with the Chicago Bears in 2017 and most recently with the Arizona Cardinals in 2018. Over his six-year career, Glennon has appeared in 27 games and made 22 starts, completing 482-of-791 pass attempts for 5,107 yards, 35 touchdowns and 20 interceptions for a passer rating of 84.0. Last season, Glennon appeared in two contests in his lone campaign with the Cardinals. In his Cardinals debut, he completed 10-of-14 passes for 111 yards and one touchdown and finished the season 15 of 21 (71.4 percent) for 174 yards and a passer rating of 112.0. From 2013-16, the 6-foot-6, 225-pound product out of N.C. State appeared 21 games for the Buccaneers, making 18 starts. As a rookie in 2013, Glennon started in all 13 appearances and was named to the PFWA All-Rookie Team after completing 247-of-416 attempts (59.4 percent) for 2,608 yards, 19 touchdowns and nine interceptions for a passer rating of 83.9. He became the first rookie in NFL history to throw at least one touchdown in each of his first eight career starts, while setting franchise-rookie marks in touchdown passes and passing yards. Over his next three seasons, Glennon made eight appearances for the club including five starts. A native of Fairfax County, Va., Glennon spent four seasons (2009-12) with the Wolfpack, playing in 36 contests and making 26 start. His collegiate totals included 646 completions on 1,069 attempts (60.4 percent) for 7,411 yards and 63 touchdowns. As a senior, Glennon’s 330 completions and 4,031 passing yards ranked third-most and fourth-most in ACC history, while his 31 touchdown passes tied for fifth-most. 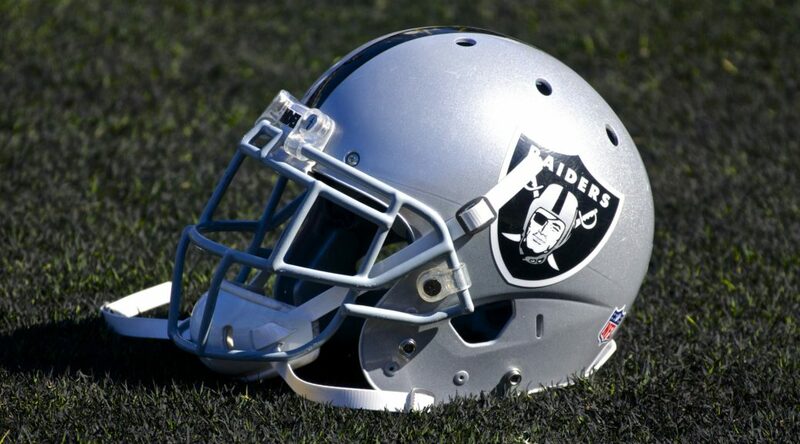 ALAMEDA, Calif. – The Oakland Raiders have signed unrestricted free agent OL Jordan Devey, the club announced Thursday. Devey spent the past three seasons as a member of the Kansas City Chiefs after stops with the San Francisco 49ers (2015) and New England Patriots (2013-14). He has played in 40 games with 17 starts during his career and has appeared in one postseason contest. In 2018, Devey appeared in seven contests with two starts at center before being placed on the Reserve/Injured List for the remainder of the season. The 6-foot-6, 320-pounder totaled 18 games played with four starts during his three years in Kansas City. A native of American Fork, Utah, Devey spent two years (2011-12) at Memphis after transferring from Snow Junior College in Ephraim, Utah. Devey started in 24 games for Memphis, playing all 1,558 snaps over his two-year career.